You can use the SendCloud Insurance to ship your sendings secured. The maximum amount we can insure per shipment is €2500. How do I insure a shipment via SendCloud? When logged in to your SendCloud account you create a new shipment. When you choose save, your label is ready to print and the shipment is insured! 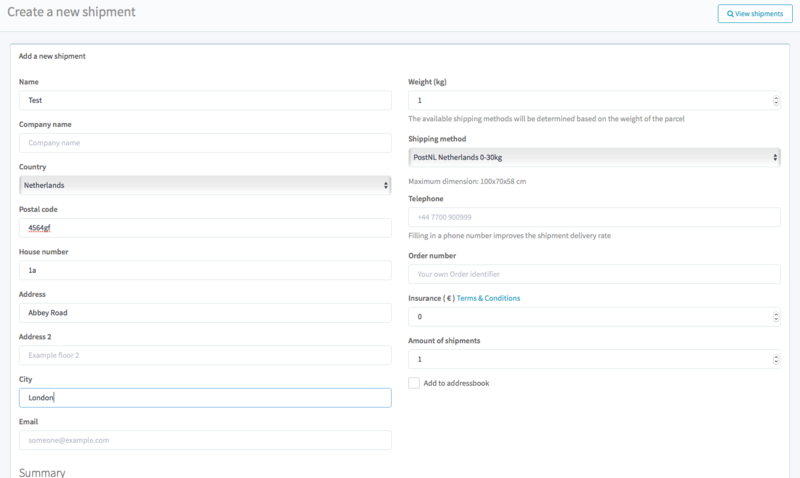 What if you import your shipments from your webshop Integration? 2. When you click one of the orders in your importer view, you get in the details of your shipment. Here you can fill in the details for the insurance. Note: it is not possible to fill in the amount of shipments. 3. When you click the save button, your insurance is saved within your shipment in the importer view. 4. Use the checkbox to select the shipment and click on 'process order' to generate your label. 6. Your shipping label is ready to print and it is insured!